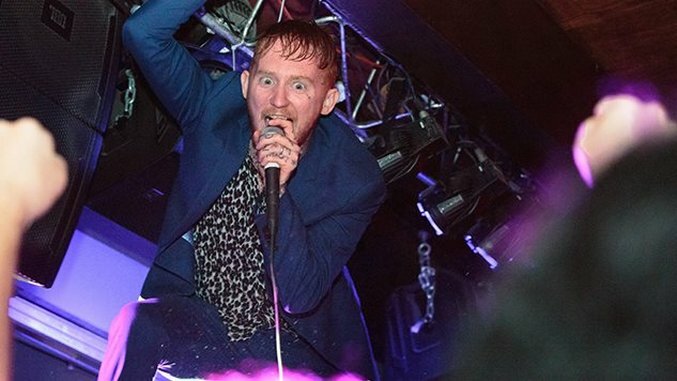 Former Gallows vocalist Frank Carter has stoked an internal blast furnace of vitriol and contempt for more than two decades, culminating in his most recent musical incarnation—Frank Carter & the Rattlesnakes. As far as frontmen are concerned, this one denies the existence of gravity and can punish his vocal chords with a volley of harrowing screams and muscular melodies. (“Devil Inside of Me” covers the spectrum nicely, as does new album Modern Ruin.) Carter and Co. wrapped up their American tour recently at the Rock on the Range festival, but Paste photographer Sarah Hess spent the day with the band for their Chicago stop last week. Check out her behind-the-scenes photos and shots from the incendiary live show. Frank Carter & the Rattlesnakes are on tour in Europe through August.